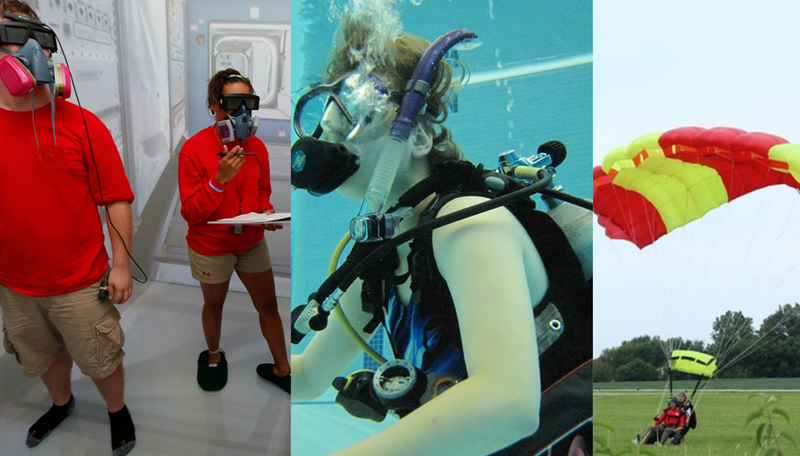 Not every summer opportunity for college students involves skydiving, scuba dive certification and wilderness expeditions; but those who have those opportunities and more on their to-do list are submitting their applications now (click here) for the 2019 edition of the Department of Aerospace Engineering’s Spaceflight Operations WorkshopTM (SOW) August 7-18. The application period is open through 11:59 p.m. February 18, 2019. 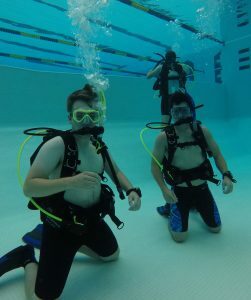 Scuba training and certification is included in the workshop events. There’s no shortage of eye-opening opportunities for participants. 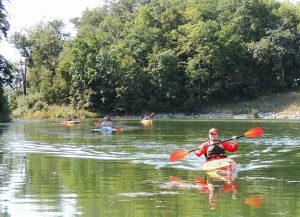 In a span of about two weeks scuba diving training (including certification), skydiving, aircraft flight simulation, wilderness preparedness training and more are on the agenda. 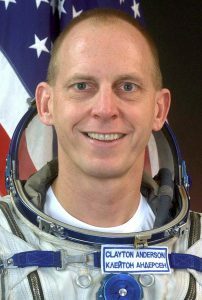 “We put them in some extreme environments, which is exactly what space travel is all about,” says Anderson, who was part of two NASA space expeditions and served in many other roles for the space agency over a span of 30 years. 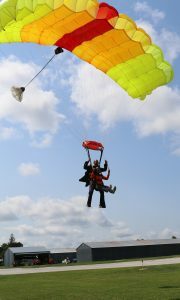 A workshop participant and his instructor prepare for touchdown in the workshop’s skydiving activity. There’s also a healthy dose of classroom activities. 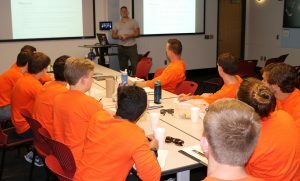 Past workshops have covered topics such as operational procedure development (with Aerospace Engineering faculty member and former NASA flight director Tomas Gonzalez-Torres), leadership and teamwork, pilot performance, decision analysis, payload and science operations, astronaut training concepts, and more. Typically, a total of 12 students (divided into two crews of six to simulate the six-person crews aboard the International Space Station) take part in the workshop. Undergraduate students from Iowa State and other institutions are all considered. With such a small number of students taking part, as one can imagine, the application process is competitive. After final selections are made from applications received, in-person interviews are held with prospective participants before final decisions are made. The benefits of the program are many. 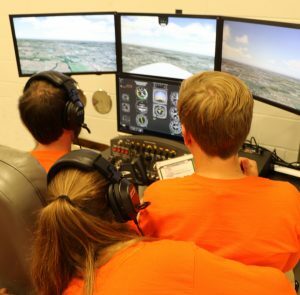 Department of Aerospace Engineering graduate student Tor Finseth, a co-developer of the program with Anderson, says, “This workshop is a chance for students to experience something hands-on. More than theory, it’s a way to gain knowledge, understand and evaluate a situation and apply that knowledge in future situations. So when you are hired after graduating and go into industry, you have first-hand knowledge of how things work in practical situations.” “This program develops leadership skills and teaches students how to work with teammates and take that mindset to tasks in school and with their future employers,” adds Anderson. Access the 2019 application page here. Learn more about the workshop here. A team of students takes on the flight simulation challenge. Participants raft downstream in the wilderness expedition portion of the workshop. Classroom activities in the workshop cover many topics.